This is from the October 2009 issue of Monthly Review. 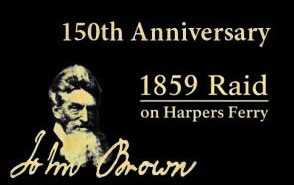 I dreamed I saw John Brown last night. No surprise. The old man is still very much with us. What some saw as his madness, and others as his martyrdom, is still discussed and debated, celebrated and vilified in scores of new articles and books every year. 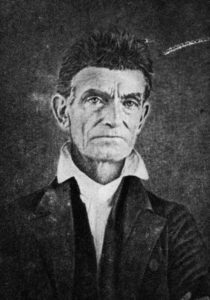 Save perhaps for Lincoln, no American of his day has had more words thrown at him than Old Captain John Brown: the scourge of white supremacy. Abolition was the great cause of his day. Brown was an abolitionist with a difference. He saw to the heart of the matter: that slavery was war, the war of one portion of humanity against another. Unlike many in the Abolitionist movement, he regarded the humanity of Africans as a given; it was the humanity of the white race that was in question. Brown wasn’t big on democracy. Or compromise. The federal government was in a contortionist mode those days, trying to accommodate both slavery and expansion, but Brown wasn’t a bender. He wasn’t good at seeing both sides, but he could spot the hinges of history. He carried arms to the new territory, which was under siege by southern “Border Ruffians,” determined to make Kansas a slave state with a campaign of murder and arson. The town of Lawrence was sacked and burned, and the free-staters intimidated, until a single cold-blooded night of terror—five “ruffians” pulled from their beds and put to the sword—gave the Southerners pause and the free-staters heart. Brown neither claimed nor denied the bloodshed in the Swamp of the Swan, but both sides knew who had done it. It horrified many but brought others to his side. The men who sought the old man out were the best of their day: dreamers perhaps, idealists for sure, but men with grit. Mounted and armed, Brown’s guerrilla band defeated or held off forces many times their size at Osawatomie and Black Jack. They even conducted cross-border raids into slave Missouri to carry off slaves and smuggle them to Canada. Tubman had done this in silence and secrecy. Brown and his men (who included his sons) did it on horseback with Army Colts, frontier style. Harpers Ferry, then Virginia, was the north of the Old South, where the Potomac plunged through the Blue Ridge only sixty miles from the nation’s capital. Free blacks outnumbered slaves, and the train to DC took only an hour or so. Brown’s target was a federal arsenal. Not for the aged muskets (he had better guns) but for the symbolism, the ac- knowledgement that slavery was Federal and not just Southern. He gathered his fighters in a farmhouse in the hills. Seasoned Kansas vets were joined by new recruits, including both escaped slaves and free b lacks from Oberlin. Out of respect for their captain they read the Bible, but they knew their Tom Paine and David Walker better. And so it was. Could twenty-two men, well armed, disciplined, determined—change the course of history? Brown thought so. His plan was to strike and then fade into the mountains: to embolden the slaves, to terrify the slaveowners, and to force the wavering abolitionists to see the issue for what it was: war. Had he succeeded, the Civil War would have been started not by the secessionists but by the abolitionists, and the issue from the first shot would have been freedom, not union. The conflict might have been shorter and the outcome less bloody. At Harpers Ferry, Brown faltered. He let the train go through. He took hostages. He dithered, he delayed too long in the town, to the dismay of his lieutenants. After a string of brilliant successes, Brown failed only once, but as Che noted a century later, once is all you get. Wounded, captured, surrounded by his enemies and his dying men, Captain Brown fought on with the only weapons left to him: his words. He was generous to his adversaries, gallant and unremorseful to the end, conscious both of his failure (“By my own folly”) and the righteousness of his deeds. He was a man of his time, far removed from ours in spirit and substance: and yet his deeds still shape our present and his words still point to our future, as America boils in rage and uncertainty under its first black president. John Brown. Alive as you or me.